Lamb gets his first full term. 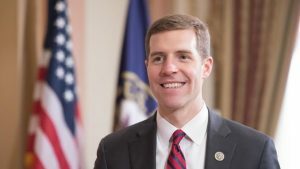 Rep. Conor Lamb (D-Allegheny) has defeated Rep. Keith Rothfus (R-Allegheny) in the race for the newly drawn 17th District. Due to the newly drawn court ordered maps, this was the only race in the nation in which two sitting incumbents were pitted against each other for one seat. Lamb won by 12 points after 100% of the precincts were reported. Lamb rose to the national spotlight in March when he pulled off the upset against state Rep. Rick Saccone in the seat vacated by Rep. Tim Murphy in the heavy GOP friendly district. Public polls a couple of months ago seemed to indicate that this would be a relatively close race, but as the race progressed, Lamb’s lead widened to nearly double digits. Lamb boasted about not taking money from corporate PACs and stating his opposition to Nancy Pelosi for Speaker of the House. Rothfus tried to pin Lamb as beholden to the progressive wing of the party, despite his attempts to paint himself as a moderate Democrat.